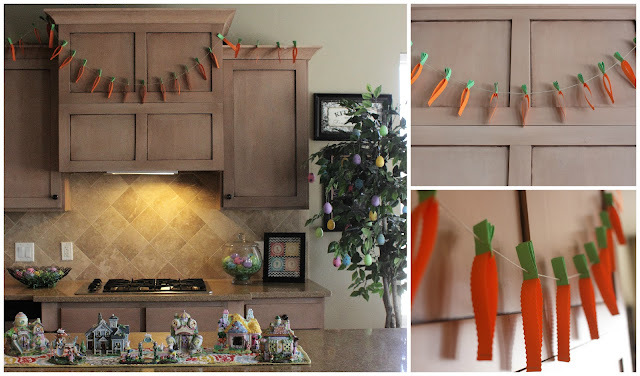 I really had a lot of fun with this DIY Easter Garland. I have been excited to decorate my house for Easter, and this Garland really make a great finishing touch. I got the idea from the Fiskars website but wanted to give a little more detail in how to do it. This is really easy to do. My kids were able to help me for almost everything but the stapling. This is what you will be using for each carrot. I used the length of the paper and cut a equal sized strip with the orange and the green paper. I cut the green paper with my paper cutter and the orange paper with my fiskars edge scissors. First you need to fold the green paper as shown above. Next you fold the orange paper in half and put the green paper inside. You then staple the two pieces together. 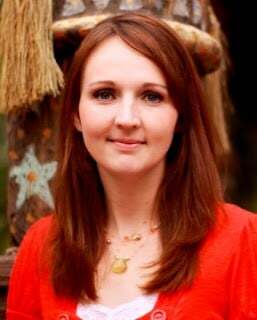 This is another look for you at what it looks like stapled. 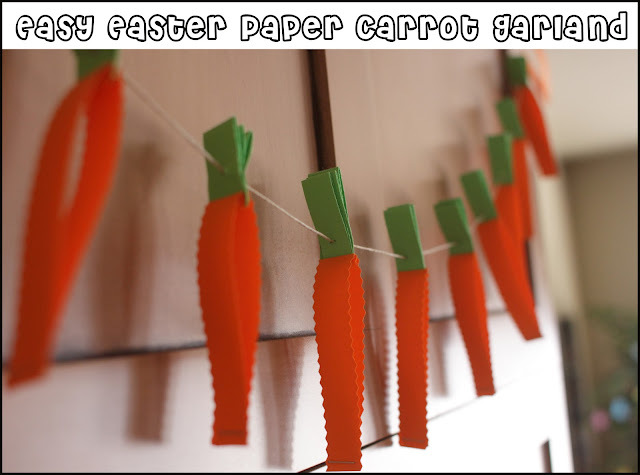 Next, you fold the orange paper down to look like photo above. Pinch it tight, or else it will give you more of a heart shape. Connect the two oranges edges and staple. Here is the side view with the staple. There you have it! Easy, huh! You have a carrot. 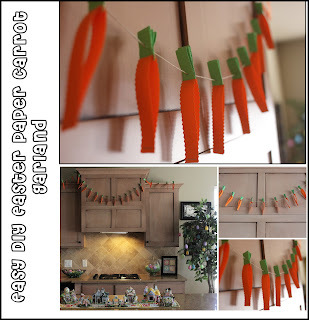 Repeat until you have enough carrots for a garland. Side view of carrots. Cute, huh! This was probably the hardest part, but mostly because I only had a small needle. I wanted my garland to be made with twine so I threaded twine through the green part of the paper. I ended up having to make the hole first and then thread it through. Continue through all of your carrots until they are connected on the twine or string. Hang your carrots and enjoy them all spring! I really think that they turned out cute!